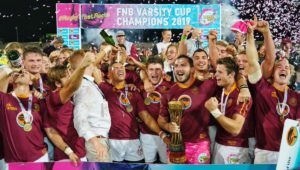 This will be Maties’ ninth Varsity Cup final, the most by a team in the competition’s history. They have won the title four times (2008, 2009, 2010 and 2018). The Maroon Machine ended the regular season with 38 log points, out of a maximum of 40, while Tuks finished on 30. 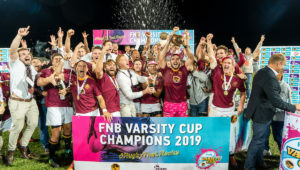 For the team from Pretoria, this will be their fifth Varsity Cup final, tying NWU for the second-most final appearances in the competition’s history. 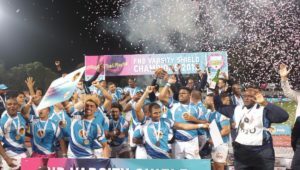 Tuks have won the title three times, all against Maties (2012, 2013 and 2017). 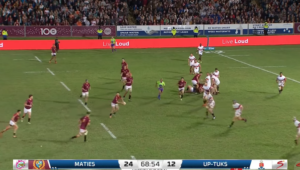 The two teams competed in a tightly-contested game in round three of the competition where Maties escaped with a 26-24 victory at the Tuks Stadium, the closest they have come to defeat this year. 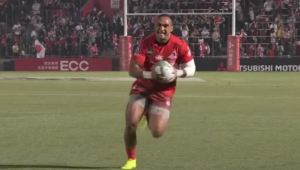 Tuks will again be reliant on the strength of their forward pack as well as their halfback pair of Theo Maree and Tinus de Beer, who is the competition’s all-time top point-scorer (238). While Tuks’ record at the Danie Craven Stadium does not make for good reading – they have only won two out of 11 matches in Stellenbosch – captain Marius Verwey says that will mean nothing in Monday’s final. ‘The thousands of fans definitely have the biggest impact,’ Verway said. ‘But we aren’t worried because we usually do well when we travel to Stellenbosch. Maties, meanwhile, have looked a far more balanced side than Tuks this year and they showed in their semi-final against Shimlas that they can score through their forwards even if you deny their backs space and time to operate. Captain Chris Massyn admitted they had gone into the round-robin fixture against Tuks overconfident but said they had learned their lesson. ‘We underestimated them. They have a strong kicking game and we will need to contain that. They have a great scrum, great lineout and set piece. We will need to disrupt that to make our game a little easier. ‘It’s business as usual for us. Last year was, of course, our biggest win and we’d love a back-to-back win, who wouldn’t? Tuks – 15 Vaughen Isaacs, 14 Dewald Naude, 13 Lourens Pretorius, 12 Erich Cronje, 11 Irvin Ali, 10 Tinus de Beer, 9 Theo Maree, 8 Denzel Hill, 7 Hanru Sirgel, 6 Stephan Smit, 5 Ruan Nortje, 4 Marius Verwey, 3 Jean-Pierre Smith, 2 Johan Grobbelaar, 1 Etienne Janeke.